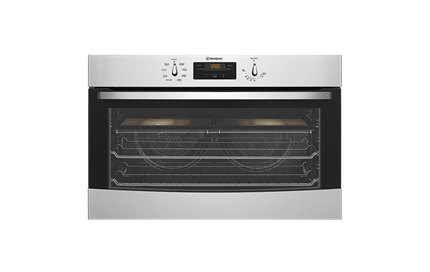 90cm electric underbench oven is rated 4.9 out of 5 by 15. Rated 5 out of 5 by lisa994 from Fantastic oven with consistent temperature Very happy with this oven! 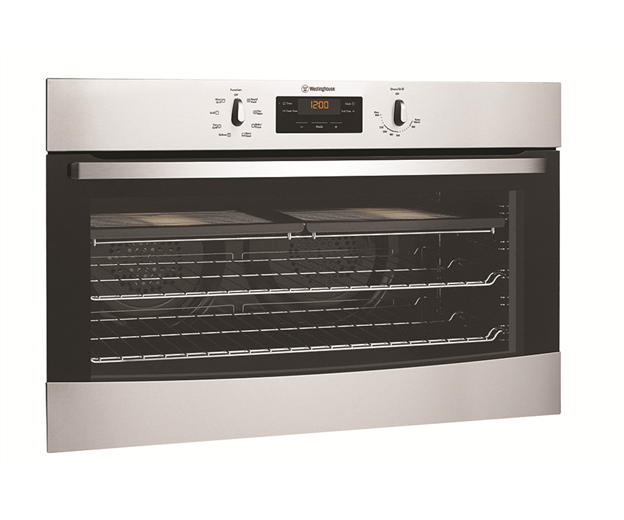 After experiencing ongoing temperature problems with our previous oven (another brand), I was specifically looking for a replacement which held a consistent and accurate temperature. I’ve been seriously impressed at how good this oven is: numerous checks with an oven thermometer show it’s usually within five degrees. 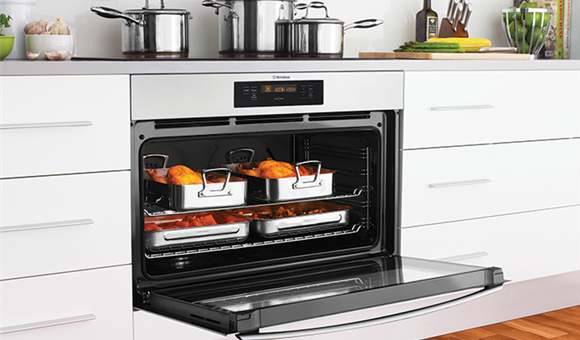 It also has a generous internal capacity with adjustable racks (allowing me to bake four trays of cupcakes at the same time or a large whole turkey). 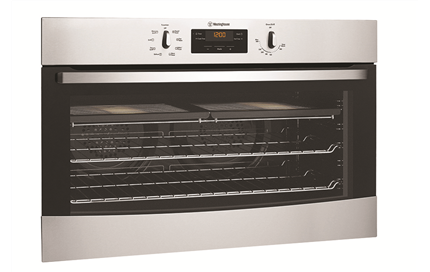 I am not a fan of complicated electronic panels so I particularly like the easy-to-use knobs this oven has. All the cooking features I like, rather than 50 options that I’ll never use. The grill is a great feature; perfect for toasties, bacon and finishing off pork crackling. 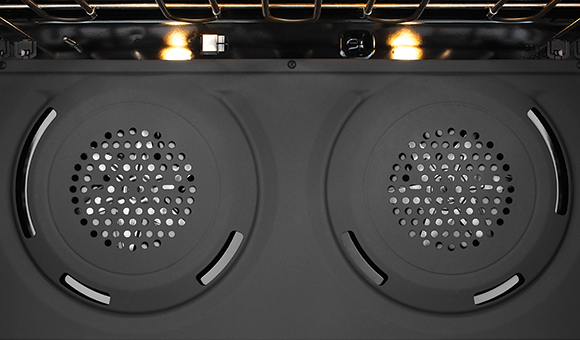 Rated 4 out of 5 by Jac67 from Racking I am very happy with the oven...but like all ovens, except the self cleaning ones I assume...I just wish that someone could invent racks that were not so hard to clean. I generally wipe the doors and racks everytime I cook in it, but the racks are so fiddly , but that is my only bad review. 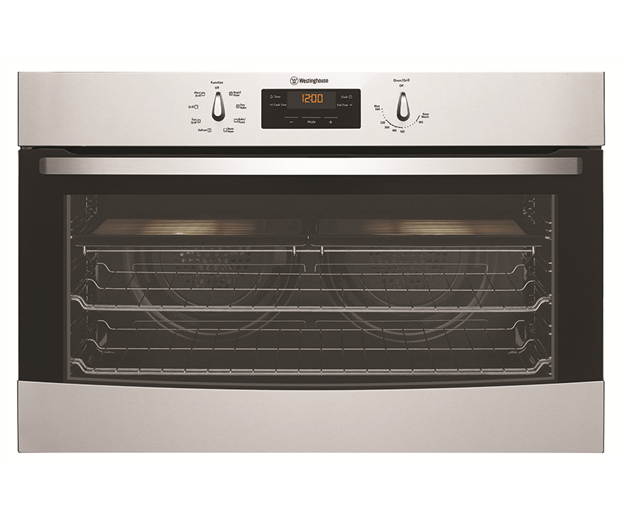 Rated 5 out of 5 by triciamd from Exactly what I wanted I have had this oven for a couple of weeks, so far it has done everything that I've asked it to do - faultlessly. It heats really quickly, it is quiet, and of course it has lots of space. I haven't used all of the functions yet - I'm sure they will work perfectly. 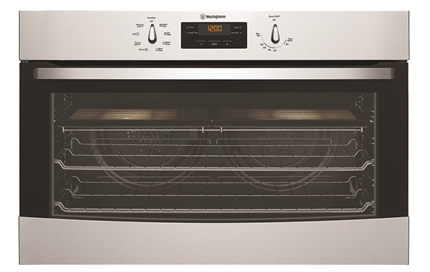 Rated 5 out of 5 by mrsajl from easy to clean and use I absolutely love my new oven. the pizza feature gives pizzas a nice crunchy base. its so much quieter than my last oven. the size also bigger than my last 90 cm oven. at the same time i also bought a Westinghouse 90cm hot plate. both clean like a dream. 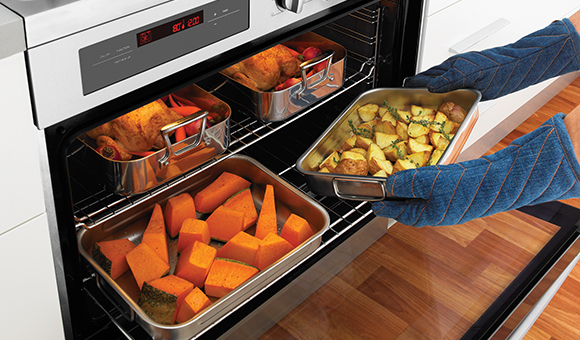 Rated 5 out of 5 by Kelbelle90 from Looks great Have had our oven for 6months now and I love it!!!! Roast dinners turn out great, and baking a cake is simple. Oven looks great in my new kitchen. Completely satisfied with this product and highly recommended to new buyers. Rated 4 out of 5 by Cheryl from Great features! 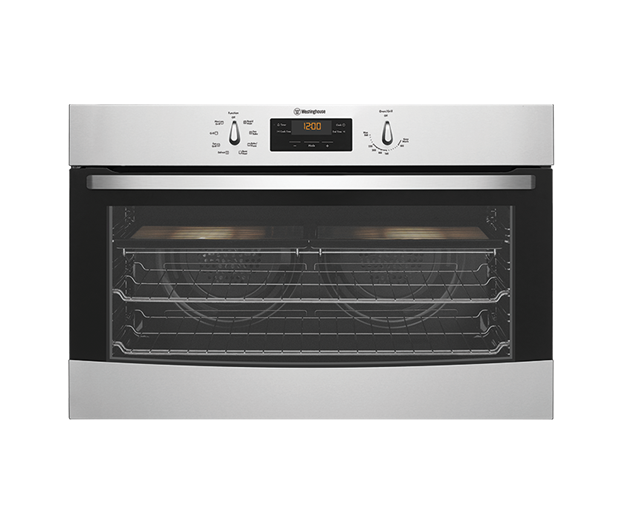 Very happy with the oven, if you do a bit of entertaining or cooking the 900 is the way to go !, we used the timer the other day, we were both working all day, came home and our meal was ready ! Rated 5 out of 5 by Cakecookie from I am happy with with my oven and was impressed with the speed off the delivery. As I was opening a cafe it was the only thing that arrived on time.